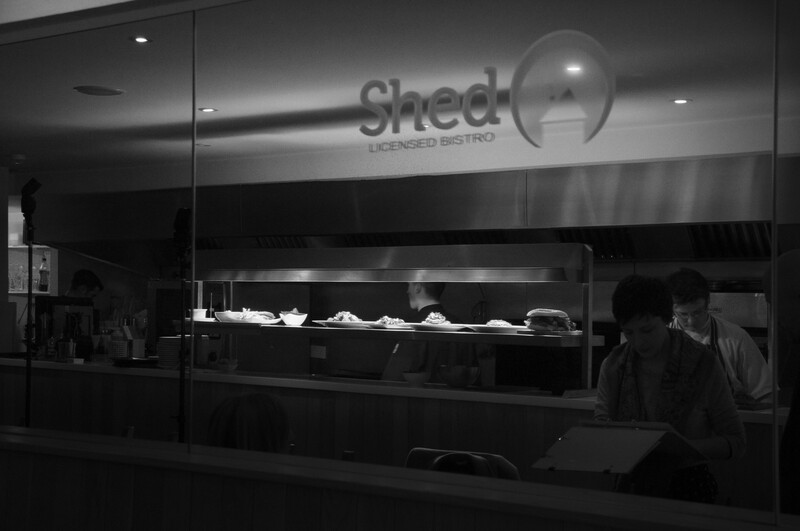 How would you describe Shed’s food style? We serve relaxed, bistro style food as there isn’t really a market for fine dining around here. It is really important to know what your customers want, we get everyone in here – from children up to 80-year-olds – so we try to cater for everyone and not just one specific group. We try to do things slightly different from what people have heard of without going too radical and are trying to find a balance between what customers want and their expectation levels. How long have you worked in your current role? I have worked here since the restaurant opened and came in as sous chef to work under a French guy called Gilles; he left after a year and I took over from him. Describe your pathway into the food industry? I wanted to be a chef since I was about 10. I couldn’t get a foot on the ladder in England at all and needed basic hygiene training to get into a restaurant and no one was willing to pay for the training. I worked in other jobs like building, shop fitting and factory work and moved here when I was 26 and did an apprenticeship scheme at the Europa. I was there for six-months which helped me to get on the ladder. I left the Europa and moved to the Hilton in Belfast and was there for three-years. The Hilton had just opened and the Michelin star chef Campbell Starr and his senior sous chef Michael was there. I had trained under Michael at the Europa and he was brilliant. I just wanted to learn everything really quickly and loved my time at the Hilton as this is where I learned most of my stuff. 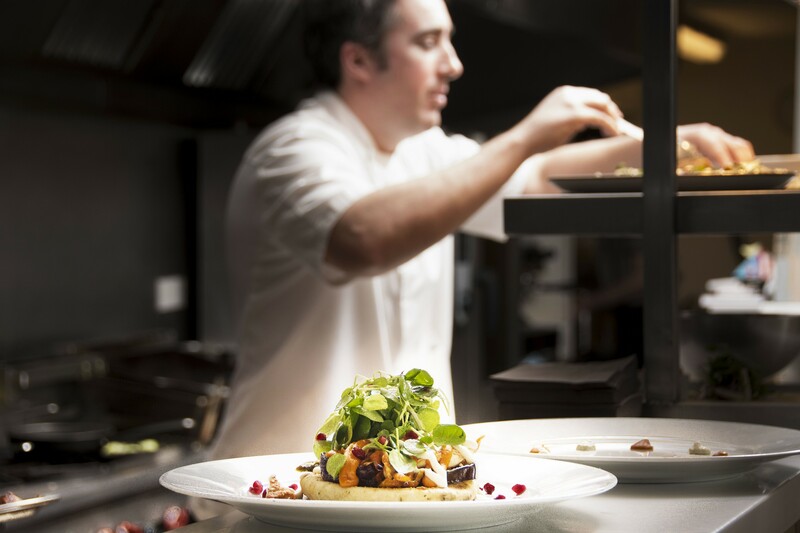 I worked my way up to chef de partie within six-months and was sous chef within two-years. Do you think apprenticeship schemes are the best option for someone starting out? You are probably better off going straight into a restaurant to get proper training. When I started out I worked split shifts and was up early and home late for less than £20 a day. I sometimes wish I had gone down that route in London; trying to get a job by going to different restaurants and saying I am willing to learn and doing it the old fashioned way. What is your biggest career achievement so far? I cooked for Pavarotti and Bill Clinton when I worked at the Hilton and the Europa. I wasn’t really nervous and treated cooking for them like I would for anyone– just do what you normally do and it will be alright. That would be Jerk chicken and we have served it for lunch here before. I am not really into eating fancy foods and mostly eat simple food. Do you have a favourite restaurant in Belfast? Probably Nandos – I have three kids so you are not really going to take them to Ox! I also like Made in Belfast. Have you a top cookery tip to share? Keep things simple really and try not to do anything too complicated, especially with something like fish. Keep it simple and use nice fresh flavours and you can’t go wrong. Before Gareth returned to the kitchen I probed him about the art of cooking fish to perfection. He explained it is all about touch and while not unlike the process of cooking steak – there is no medium or rare with fish – you should gently press the fish as it cooks and when it feels firm it is ready. On a previous visit to Shed I ordered the hake, a beautifully moist piece of fish I still remember, and while Gareth says cooking fish is “pretty simple” maybe some things are better left to the experts. This entry was posted in Profiles and tagged Belfast, gareth england. hake, ormeau road, shed bistro by Michelle Loughran. Bookmark the permalink.